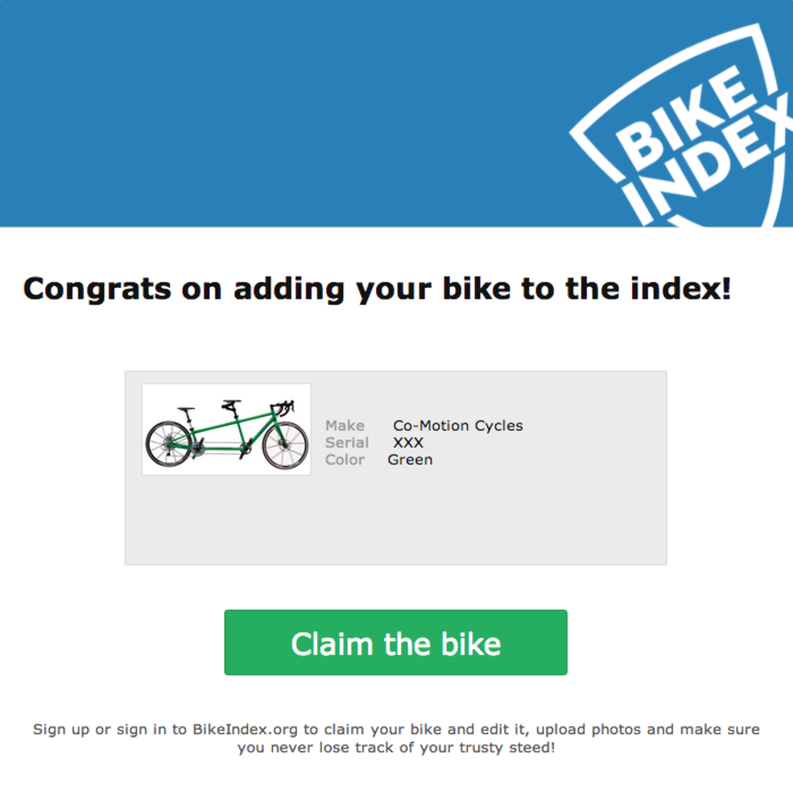 The Bike Index now adds the original components and a stock photo of your bike when you register it. 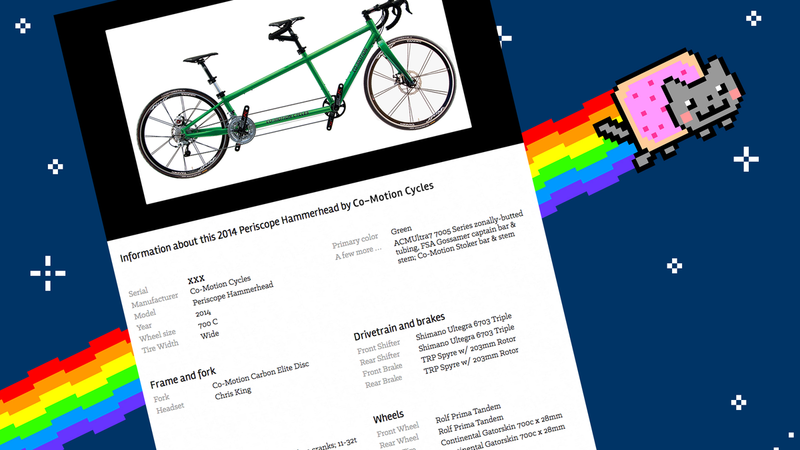 In addition to being an excellent resource to research and compare bikes, BikeBook.io (an awesome service we just built) also provides a way to programmatically get default information about bikes. This gives the Bike Index a way to automatically fill in information about your bike when you register it. Providing default information about bikes is exciting not only because it's slick, but it also makes registration something you don't have to worry about. Filling in the default information about your bike makes your registration higher quality and more useful - and now requires no effort from you! So what does the new process look like? 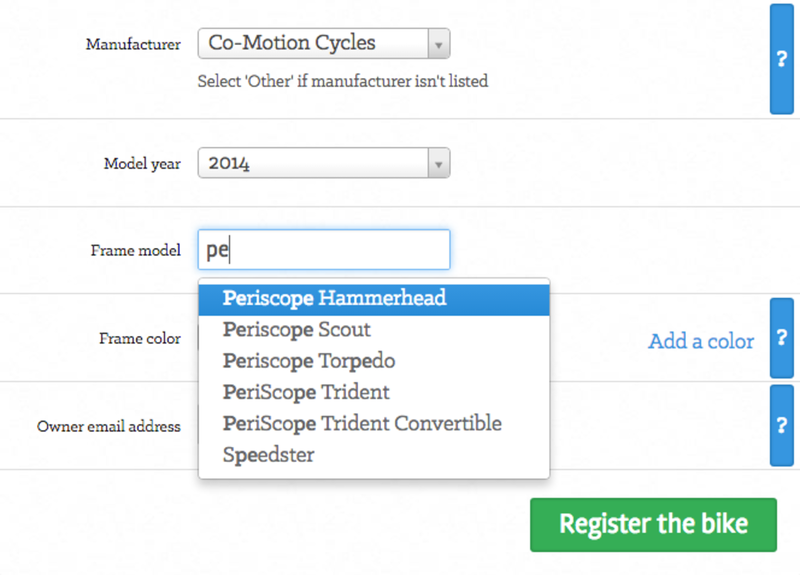 When entering a bike, the Index suggests model names as you type. If you select one of the suggested model names, the bike is listed on BikeBook — so the Index instantly and automatically fills in the data we have about the bike. Even the registration email includes the stock photo. And the bike has all the components listed. But obviously, this is just a starting point. 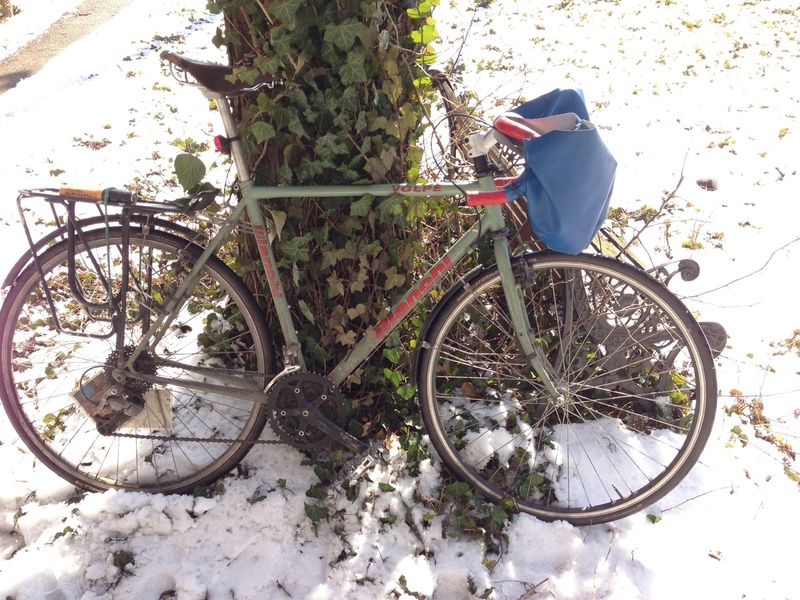 We'd love for you to add photos of your trusty steed and information about how you've made it a unique little snowflake. So go ahead, Register your bike now if you haven't already!